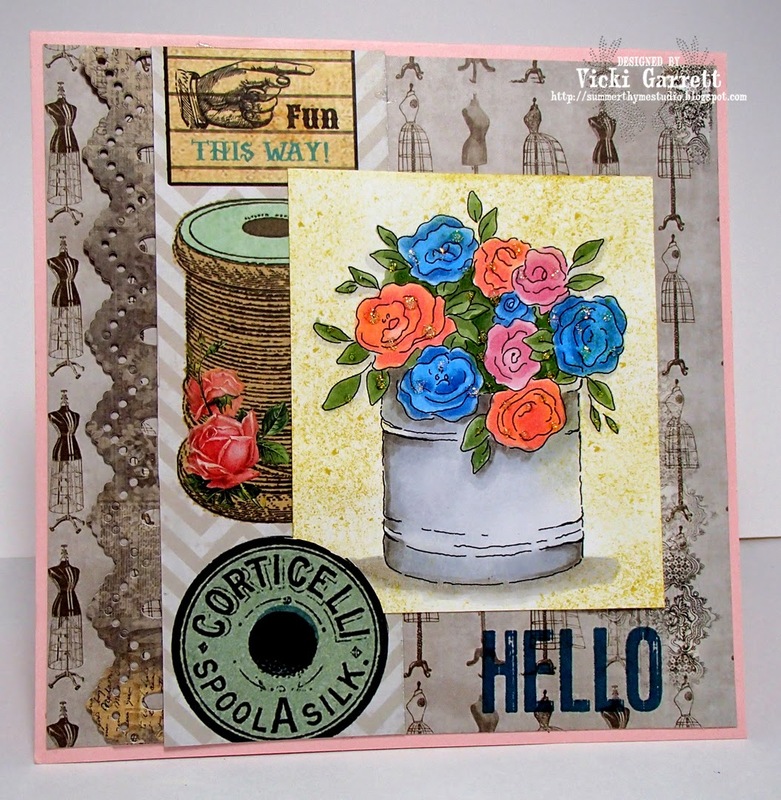 Paper Loft Teams up with Cardmaker Magazine for a Fun Hop!!! The COOL thing is that I'm not the last one on the hop!!!! Yay! Soooo if you've been hopping already, you've arrived from the very talented Theresa Momber's Blog. Did you notice that I cut an extra "surfboard" for the sentiment? I loved cerating the fun scene and hope you like it too! The Lost Lagoon, Calypso Coral and Old Olive combo just reeked of Summer to me!!! EEEEk!! Sorry I'm posting my card so late today. I wasn't feeling the best and thought I'd take a little nap. Being that I don't sleep well, I figured that I would be up before 11 p.m. to finish my post. BOY was I wrong! I slept from 9 p.m. until NOON...that is CRAZY!! but I must have needed it. Anyhoo, the challenge is to created a friendship card! 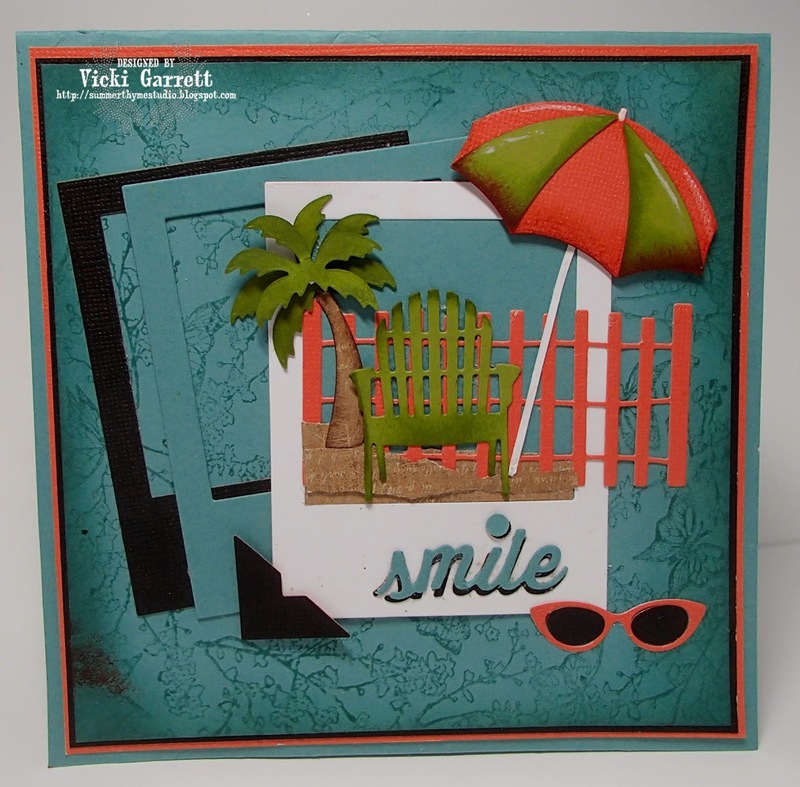 I used this fun vintage designer paper and then thought I ought to make a lacy border with the Border Duo 2Dies. So fun! Well, I'lll keep my rant short today! 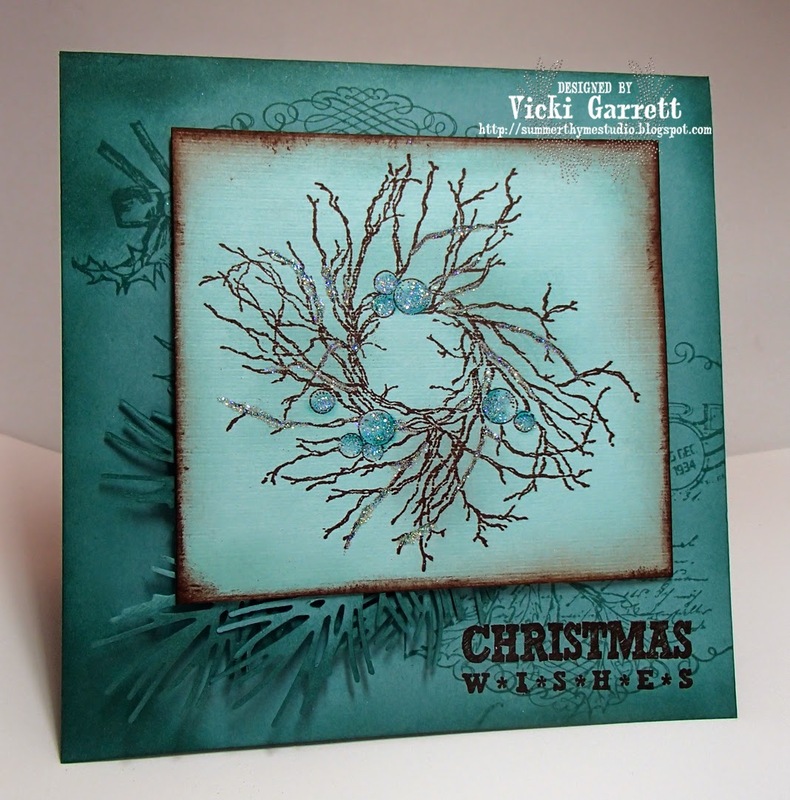 It's NEVER to early to get a start on Christmas Cards! NEVER....why do I say that? Because I NEVER seem to have enough cards! I got this adorable little set through Stamping Up~ and just had to play with it! I've been asked to do some classes again, so this is one of the Christmas Cards we'll be doing! Hope you have a great day! If you're here in Ontario, enjoy the smidge of summer weather that Mother Nature has bestowed upon us! A couple of cards to die for! 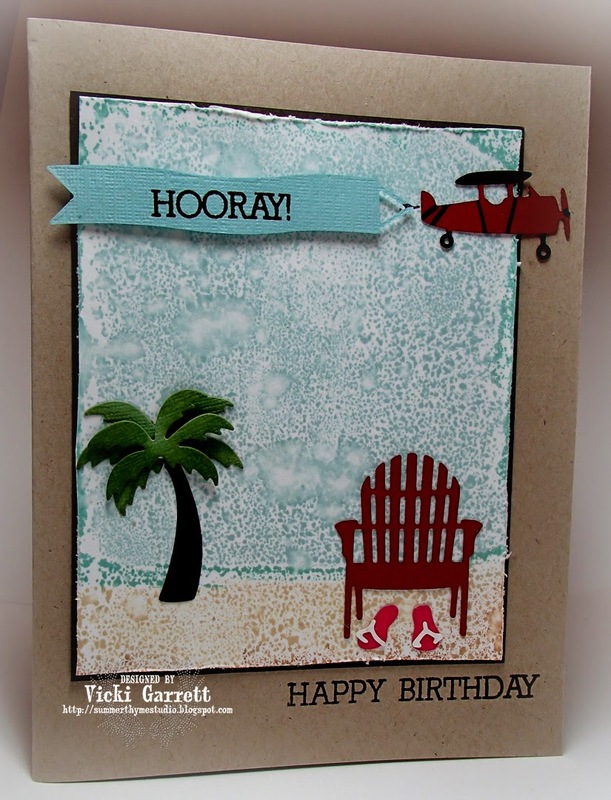 I am LOVIN' the new Summer Dies from Impression Obsession Stamps! What about this Woody Wagon??? WHAT ABOUT IT?? Isn't it the GROOVIEST!!!????? 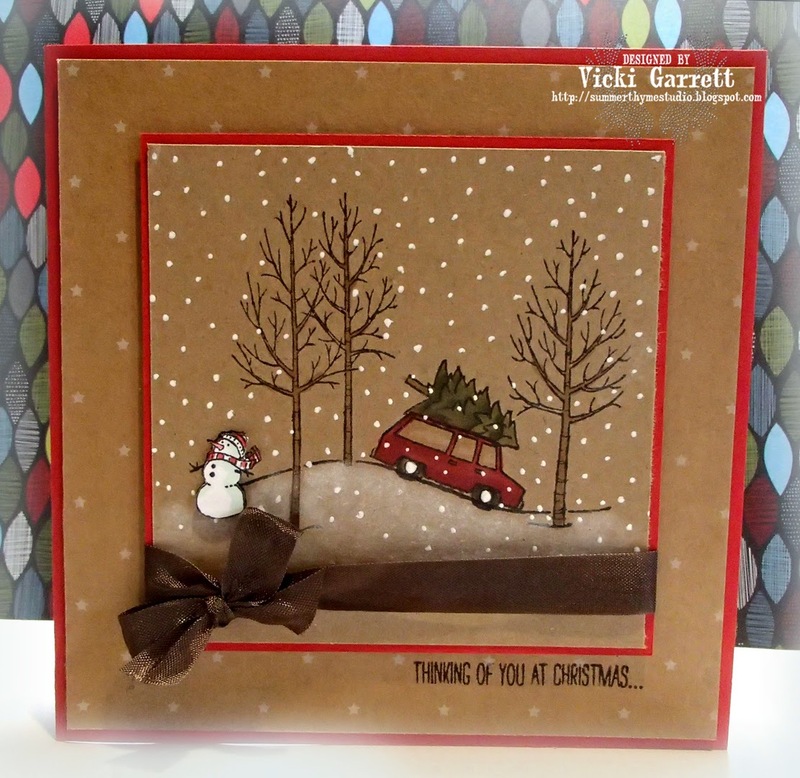 This week's challenge on the Impression Obsession Blog is to create a clean and simple card. 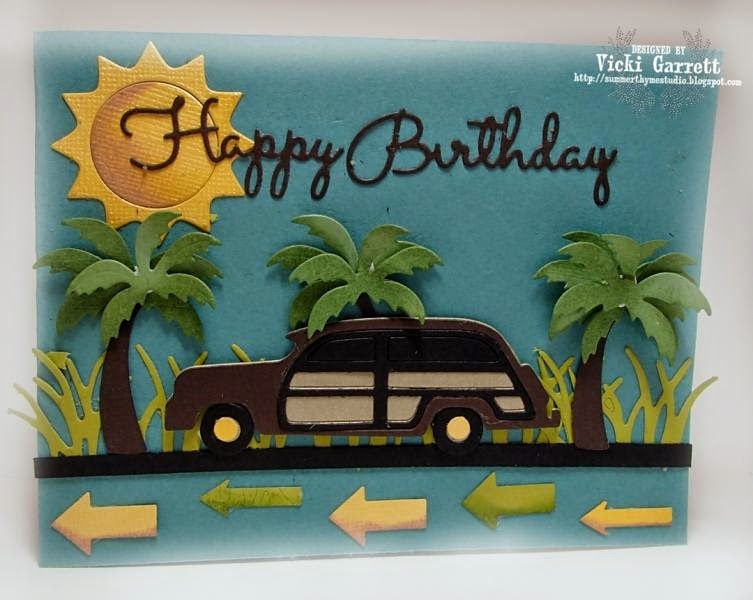 I totally had to make my card with the CUTEST Flip Flop Dies EVER!!!!!!! You can find them on the IO Website very soon! Then, I simply mounted the Flip Flops on Pop Dots! 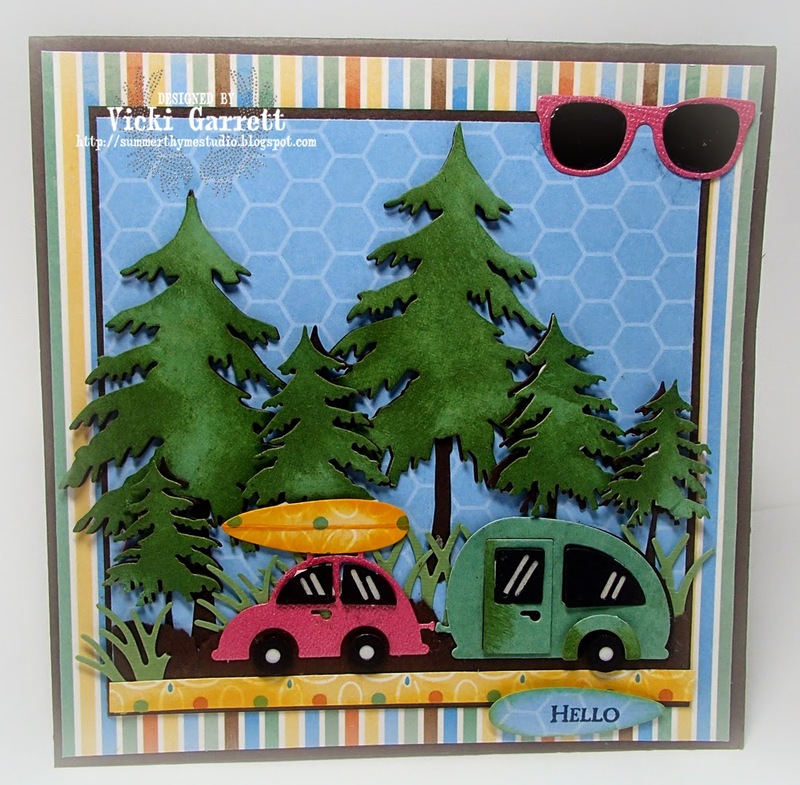 Watch in the next few days, I totally have some fun cards to show you with the new summer dies! Head on over to the IO Blog to enter your submission for the challenge contest and to get links to the DT players!!!!! Winter is a good time to stay in and cuddle. I think so..... I have to be honest, i'm not a huge fan of the cold, but I LOVE snowmen, pretty snowfalls; the kind where the flakes are huge and fluffy and fill the sky. I love the look of snow on the pines and cardinals! I don't like the cold, but I enjoy building a snowman, skating on the lake (although I'm not a great skater) and a drive on a dry road in the winter to take in all the wintery scenes. Other than that....Winter IS a good time to stay in and cuddle!!! So I truly hope you enjoyed my projects this week! I know I sure enjoyed creating them!!! Please head over to the IO Blog to get the details for prizes...I know that there will be TWO winners today!!! Is it a long weekend in the USA as well as Canada? If so, enjoy! I'm looking forward to a few days off! Keep your eyes peeled for more IO creations! I have some saved up to share next week!